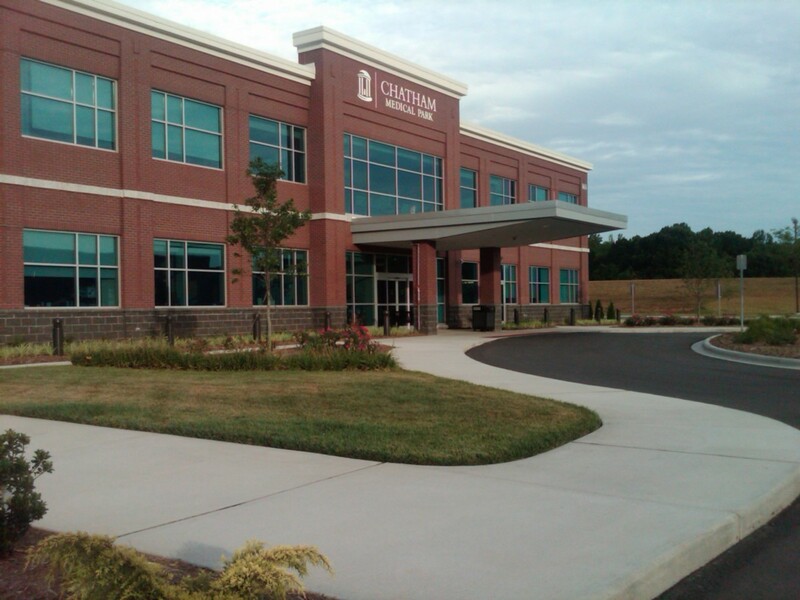 This project included a two-story, 30,250 square foot medical office building on the campus of Chatham Hospital. The structure houses doctors’ offices and conference rooms, along with Chatham Hospital’s Physical Therapy Department, Cardiac Rehabilitation Center, Diabetes Wellness Education Center and billing operations. The project involved traditional site planning, civil engineering, and landscape architecture, while also coordinating with the Town of Siler City Planning Department in association with the prior approved overall hospital campus master plan. The master plan included an original storm water permit for the parcel. Stewart submitted a permit modification to allow for the construction of the medical office building and the leased outparcel. The project also the included design and construction of connector roadways; waterline and sewer line extension; and an additional stormwater detention pond.